The Gyeon Soft Wipe Microfiber Towel is a soft, paint safe towel designed to tackle various detailing steps. This thick, deep nap not only feels amazing in your hand, but allows you to easily trap dirt and grime, excess coatings, sealants, waxes, etc. for safe removal from the surface. Gyeon recommends using this towel for wiping away coatings, using quick detailers and applying spray sealants, but it really works great for anything you use it for (i.e. interior cleanings, wax removal, sealant removal, etc.). Soft Wipe features an 80/20 polyester/polyamide blend, heat stamped logo (tagless) and a laser cut edgeless design. Stop waiting, feel the difference of the Gyeon Soft wipe for yourself! Gentle fibers are perfect for wiping coatings and all types of detailers and spray sealants! Our Q2M SoftWipe fiber was developed to suit even the softest paints on the market. It's extremely thick, but gentle fibers are perfect for wiping coatings and all types of quick detailers and spray sealants. It's the perfect choice for our Q2M Cure. A major benefit is it's edgeless trim, making Q2M SOftWipe towel ultra-safe. The Q2M SoftWipe Towel is fabricated using the most advanced laser-cutting technology, making edgeless microfibers very durable against wear. Washing with Q2M TowelWash is highly recommended. 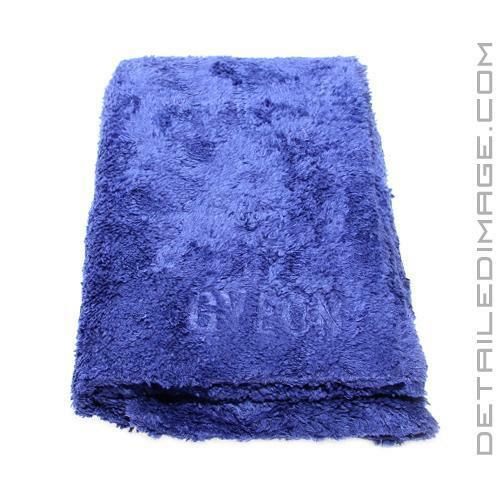 Soft and supple, this is a superior towel for product removal, without worrying about scratching.